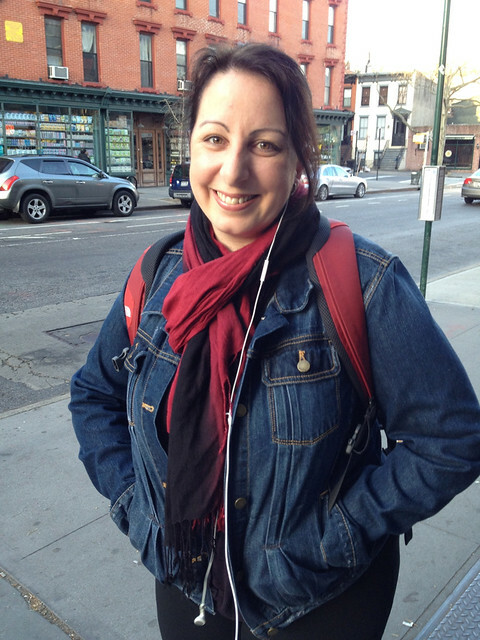 I just realized I forgot to post about a major achievement that happened back in January… I got my New York license! Hooray! To say I had been putting this test off is an understatement. I got my Learners Permit as soon as I moved here. 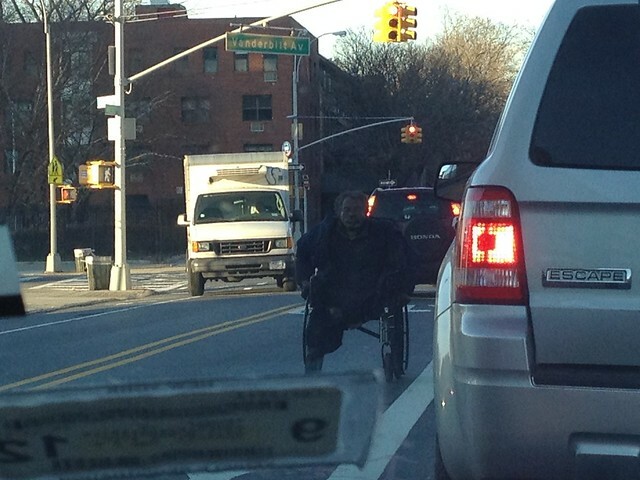 But I became so petrified of driving here and especially in Brooklyn, I just couldn’t comprehend doing the actual test. Even after fourteen years of driving experience. I tried to push myself by doing the 5 hour compulsory class back in March last year but then could not do the actual booking of the test. I then decided I would do the test in Albany where it would be less scary. This was just based on the fact that when I had driven in Albany, it was without the crazies that drive around here and the roads were actually drivable. Anyway, that never eventuated because the scheduling is absolutely impossible to deal with. The main factor in booking my driving test was that if I didn’t do it before March I would have to do that painful five hour class again. UGH! So in the end, I really had no choice. I got scheduled to do my test in Red Hook. If you google this test site, it is often referred to as the most difficult out of anywhere on the planet. Great. So we got the car and made our way there. 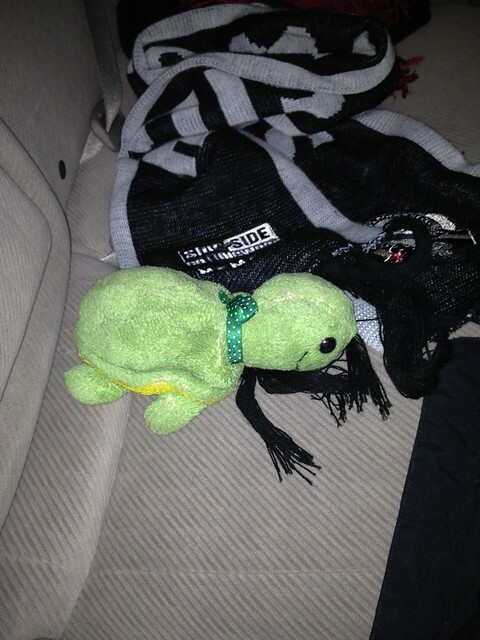 In the back seat for good luck we had a Pies scarf and Tilly Turtle. Unlike in Australia, the driving test is not start at the Vic Roads etc offices. They start in a normal street. I was a mess – shaking and sweaty palms. I was 100% sure I would fail. Mainly because it isn’t like I drive every day here. I still struggle with the other-side-of-the-road dramas and I doubt that will ever leave me. Driving here is stressful and I thought I’d buckle under it. The test was not easy by all means. My parallel parking was probably the narrowest park I have ever done in all my years of driving. There were people walking out in front of the car, double parked cars, IKEA traffic, laneways and sun glare. Funnily, I got chatting to my tester and he actually grew up in our area and his first girlfriend lived on our street. Chatting while I did the test made the whole experience more natural because I am just so used to prattling on when I drive normally. I was petrified I had failed for something. As we drove back (after about 15 mins of driving) I pulled in to the curb to see Bill waiting for me and waited to hear my result. PASSED. PASSED. PASSED. WOOOOHOOOOOOOOO!!!! I think I screamed.. I was SO relieved as I had convinced myself I’d be doing this test multiple times. 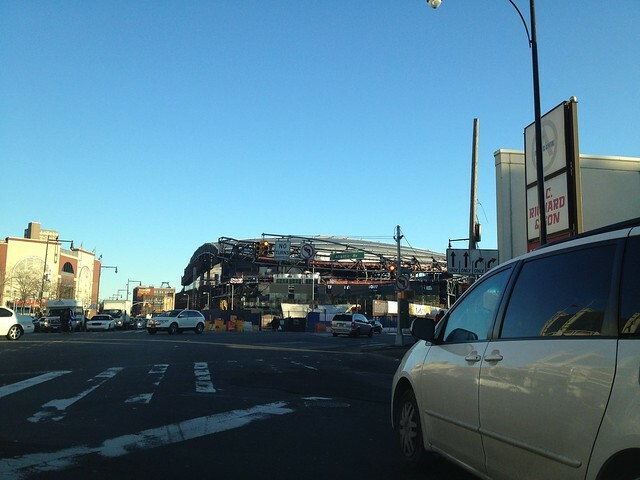 Then the crazy construction zone at Atlantic Avenue. Twenty lanes (feels like it) going down to two and loonies coming at you from all directions. 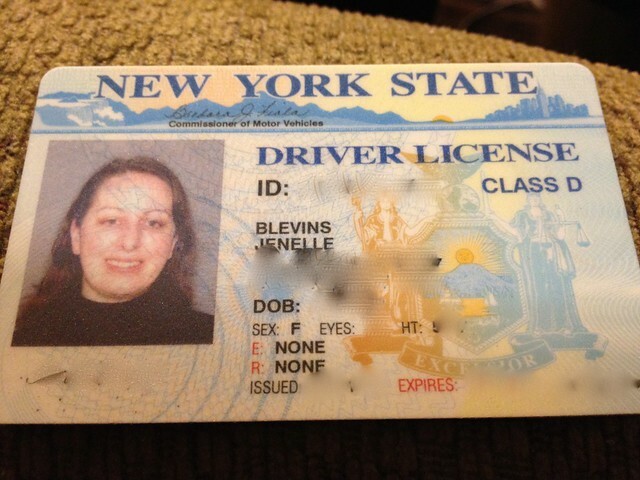 Then this is it… my license with the dopiest photo of all time from when I got my learners in 2008. I am relieved though as only ‘official’ thing left for me to do is become a citizen and I have 18 months left to wait for that. Yeee-haaa!!! 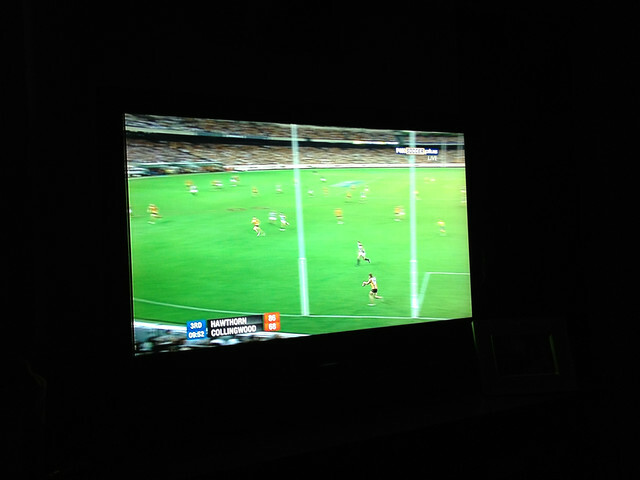 Footy is back… aka life is back to normal! Friday morning began at 4.20am when my eyes instantly shot open without the alarm clock. My body clock already knew that I had to be awake at 4.30 to watch the Pies Vs Hawthorn but as I didn’t get to bed until late, I decided to go back to sleep for a bit. Bill put on the radio broadcast so I was able to listen to it while being semi-asleep. At about 6am we got up and sat in the dark and started watching the game on TV – we also had it recording too so we didn’t miss any highlights! It is so awesome watching the game live in HD – just wish we could do without Bruce McAvaney and every single other commentator. I loved seeing Bucks in coach mode – he looked like he could still get out there and play. At the same time I was partaking in a footy fuelled group iMessage conversation with mum and Ev. This is all while getting ready for work. As the game slipped away, we decided to slip out the front door and head to work while listening to the rest of the game on our iPhones. The best thing? I’ve been able to bear the early morning chill without my huge coat! This was my photo to mum and Ev to prove that I was NOT sulking over the loss. A few weekends ago I had my birthday weekend. I’m lucky as with the Australian and American dates, I get a two day birthday! 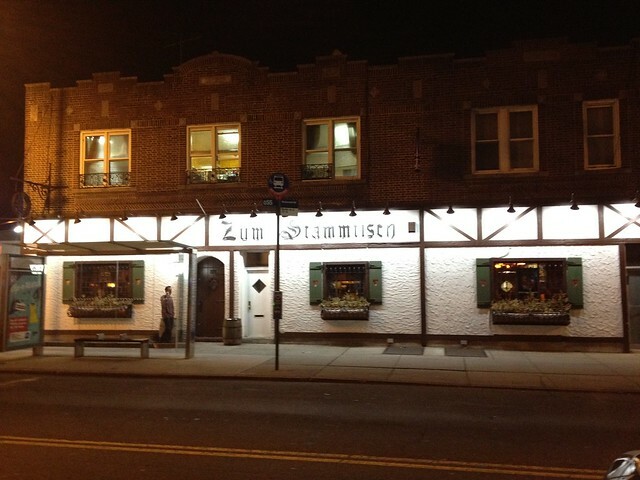 For my birthday dinner, Bill and I headed out to Queens to go to the Zum Stammtisch restaurant. 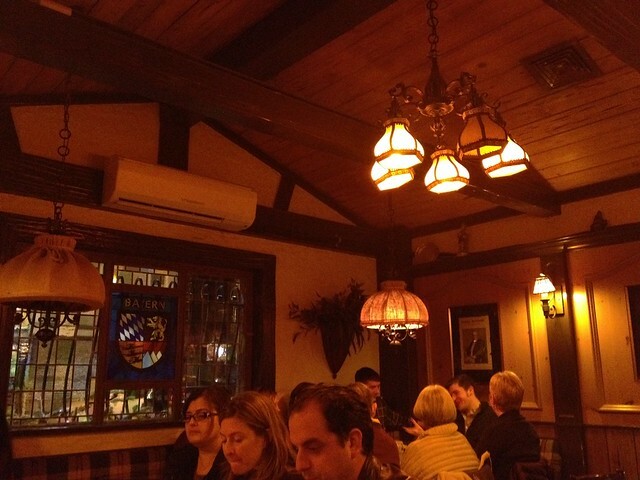 It is frequently referred to as the best German restaurant in the city and I love German food. Back in 1999 when I first left Australia for London, I had my going away party at Hofbrauhaus and even donned Lederhosen and did bellringing! We had been wanting to visit Zum Stammtisch since we drove past it two years ago but with it being a hard place to get into and two bus trips, we put it off. Deciding to brave it for my birthday, I rang to get a reservation and was told that they don’t take them for tables of two. Ok then. So we decided to leave here at 4.30ish and get there by 6pm as we have never been to a place here where we had to wait for a table at 6pm. We did our long bus trip and was so excited. We got there, bounced in the door and was told “40 minute wait!” SERIOUSLY!! 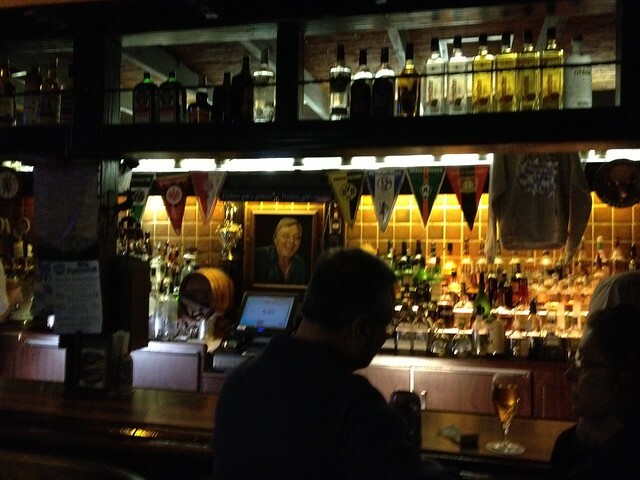 We figured we travelled that far, they had a tv in the bar area so a 40 minute wait won’t be bad. 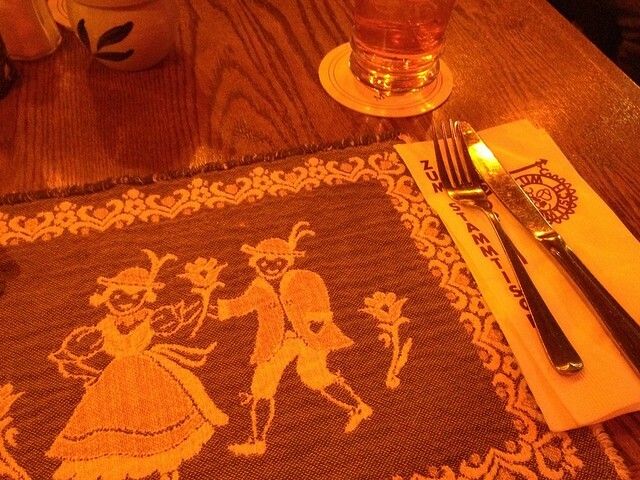 The 40 minutes became 50 minutes and more… we were eventually seated at 7.30. 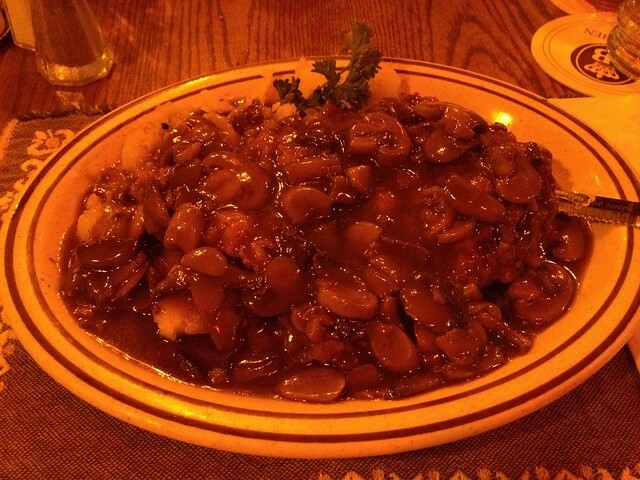 There is a huge schnitzel under that gravy! While waiting at our second bus stop a police car sped past us. Then, our bus arrived and we kept going up the street and slowed down. 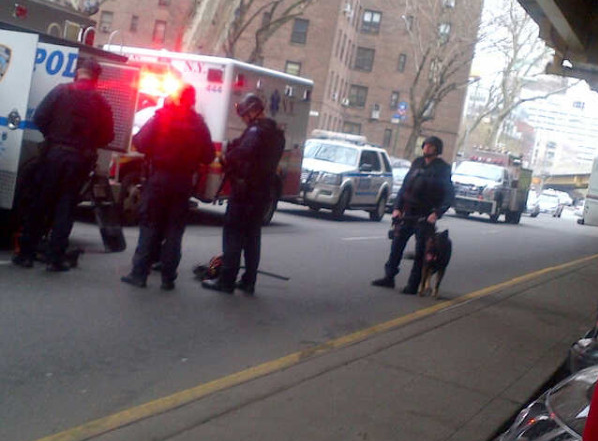 There were police and ambulance everywhere and we could see inside of a barber shop with lots of commotion going on. Later we found out that while we were waiting for the bus just blocks away, there was a shooting inside the barber shop and the assailant was on the run! 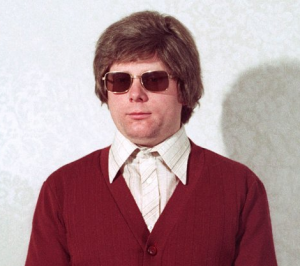 He was actually found a few days later using facial recognition software. Mum and dad sent me an LL Bean voucher and this amazing stack of lollies! 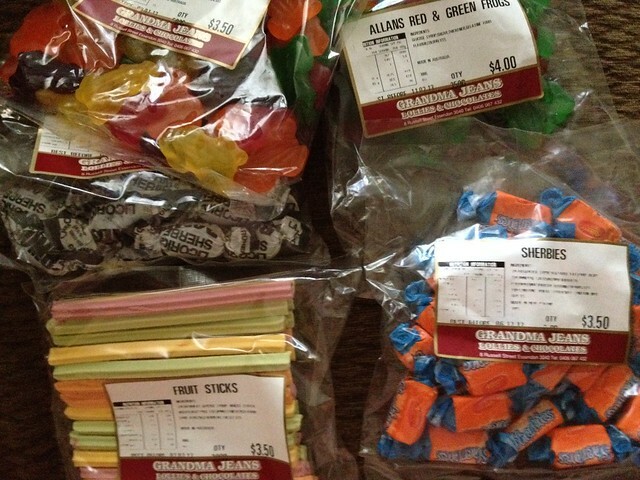 Dad goes to a shop in Essendon where you get all the good lollies in bulk and they send them over for us to share. As well as my Fiesta Ware salt and pepper shakers, Bill made me the most beautiful orange cake for a birthday cake. With lots of cards and phonecalls it was such a fab weekend – no complaints at all! When we first moved to Brooklyn, we spent time making some big purchases. One thing that I wanted was a good set of Fiesta Ware. These dishes are amazing – strong and classic and even better, they are Made in the USA. Fiesta Ware are known for their bright colors but I prefer white dishes so I went with those. We got a full set and put them to use immediately. Since then, we have slowly added to our collection and Bill recently got me the Fiesta Salt and Pepper shakers for my birthday. I cannot picture myself using any other china again. We had some Fishs Eddy plates before we got the Fiesta sets an even those only get random use now. Seriously, it has been one of the best purchases we have ever made! You can check out a lot of the collection at Macy’s. It is just awesome! We settled in tonight for the season premiere of Mad Men. It wasn’t a bad episode – I think I was expecting more and the skipping of time is still annoying. I know we had the same thoughts at the start of season 4. It will be interesting to see how it picks up next week – it wasn’t bad, but to me it wasn’t amazing. I think most of this can be blamed on the 18 month hiatus. I think that now that our Sunday night routine is back in the swing of things and we have reacquainted ourselves with the characters again that next week will be a lot easier to pick up. Well.. I hope so! While we were on Atlantic Avenue, we stumbled upon an awesome cook supply store called A Cook’s Companion. This store is dangerous. We ended up leaving with a huge haul. Small baking loaf tins for mini loaves of bread, a replacement lemon press (these are the one that look like they belong in a tool shed – once you have one of these you cannot live without one), a pizza tray, egg cups and a salt pig. 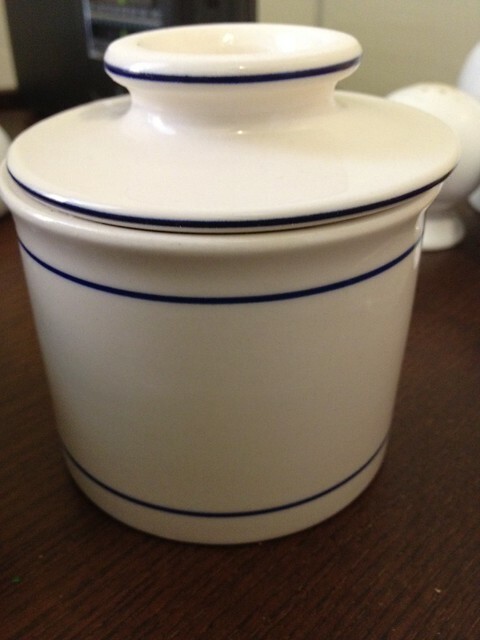 We also got a stoneware butter keeper. About two months ago we made our own butter. It is awesome and so easy and we’ll keep doing it. We have been storing it a glass pyrex in the fridge but to spread it on bread just doesn’t happen as it is so hard. While we were at the store we saw a proper butter keeper that uses water to keep the butter fresh while it remains spreadable. Strange I know, but it really does work! Because our butter is raw, we’ll have to still keep it in the fridge to keep it fresh but we can take it out the night before in the butter keeper to ensure it is spreadable for our morning toast. 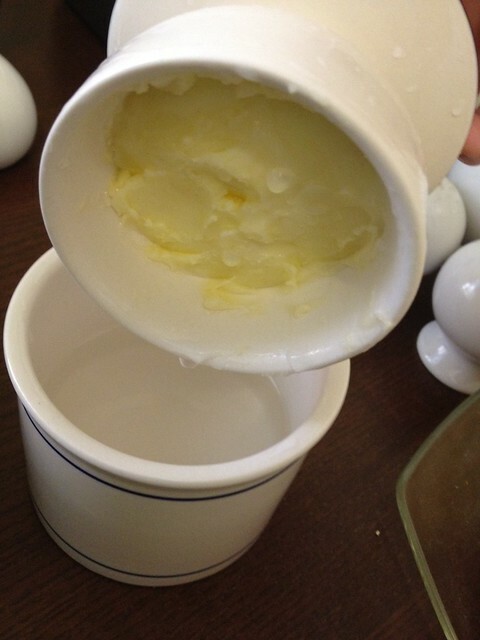 And here… our own butter! Now.. about the baking. 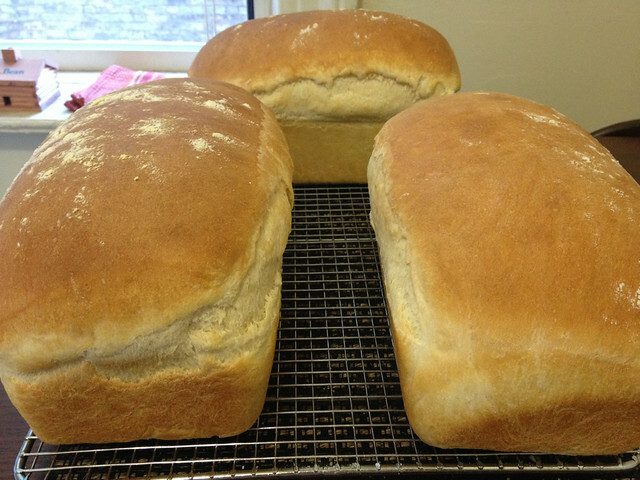 One of Bill’s ideas for Lent was to rely on home made bread only. This is the culmination of two years of on and off testing to get the kind of bread that is the equivalent of Bakers Delight bread. He found a recipe, tested it, has the routine down to perfection and the bread is amazing. I don’t think I could go back to store bought bread again. It has been one of the struggles of moving here and Bill made it his challenge to make sure that I had the kind of bread on hand that I loved. Yeah I know, I am very spoilt! I have to note – Bill makes this all by hand. 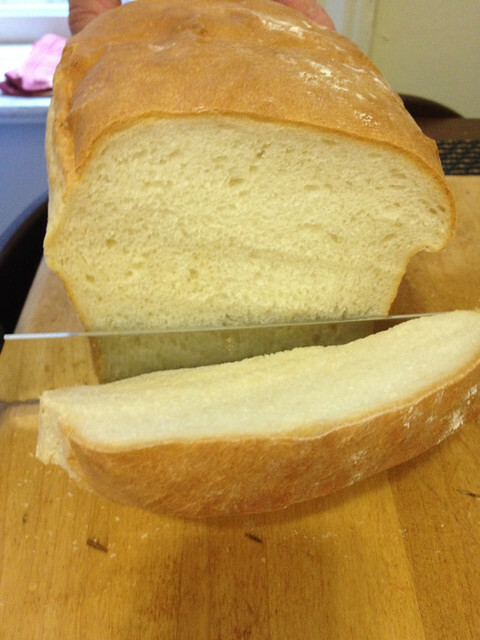 We don’t have a bread maker and our kitchen is small – but he does this and does it perfectly. 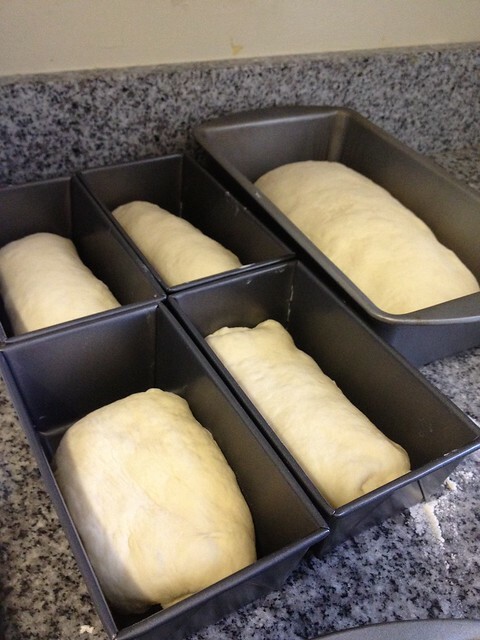 4 mini loaves using our new pans and also we’ll get another two regular loaves baked. Keeping it fresh is an issue. We have sandwiches for the first few days while we use up the fresh loaf and freeze one loaf sliced for toast and sandwiches. 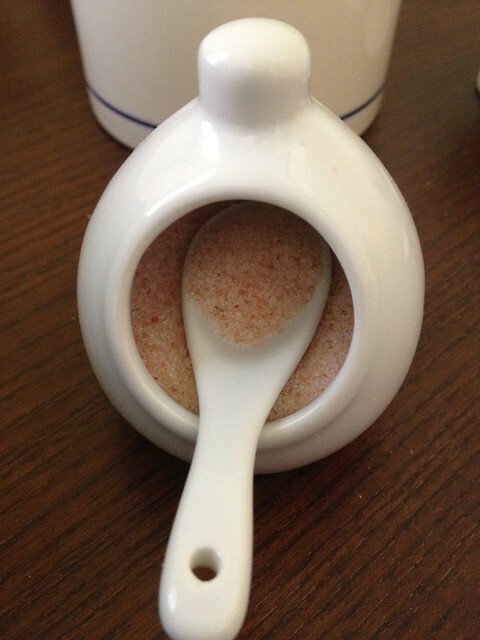 Here is the photo of the inside – it does not do this spongy, soft goodness justice! 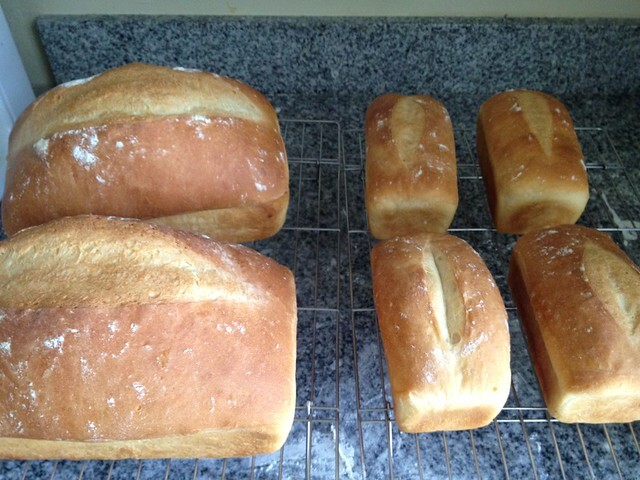 Again – no bread mix, no bread maker – just good ingredients and Bill know-how and patience. The smell of the bread cooking that fills this apartment is just an added bonus! Edit – here was the final result of today’s batch. He also made his amazing Lemon Cake for a meeting at Queen of All Saints this afternoon! Bill had I have been under the weather all week with a bug, but by the time it got to Friday I was seriously craving Fish and Chips. 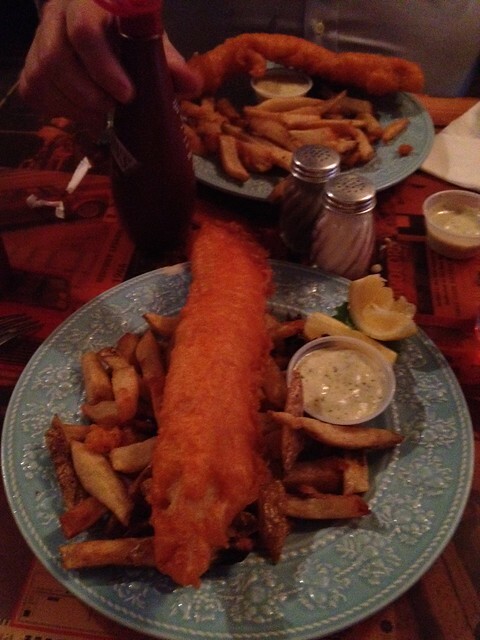 While we have been abstaining from meat, we have still been having fish on Friday. 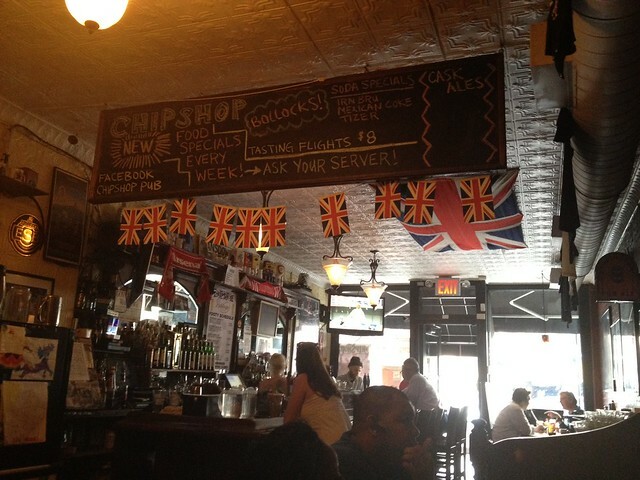 So with that, we made a night of it and checked out ChipShop on Atlantic Avenue. It wasn’t bad at all and being there certainly got us excited for our upcoming trip to London! My only complaint is a) it still didn’t satisfy my need for Aussie Fish and Chips… but saying that even actual Fish and Chips in England is nothing like Australian style and b) it was just a little too greasy. 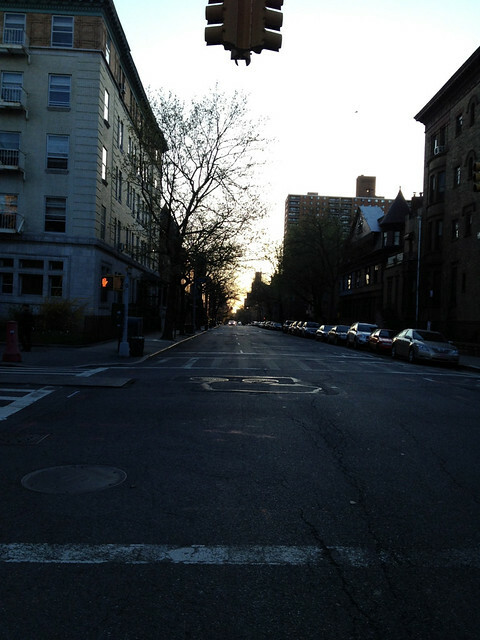 We then had a walk around the neighbourhood and through Cobble Hill and then back down to Bergen Street to get the train just a couple of stops home – it is so awesome how each neighbourhood is just so different but we still love ours! We love our neighborhood SO much. We have everything here – it truly rocks. Although not to far from here, the past 24 hours have resulted in two shootings. That is three in the past few weeks. 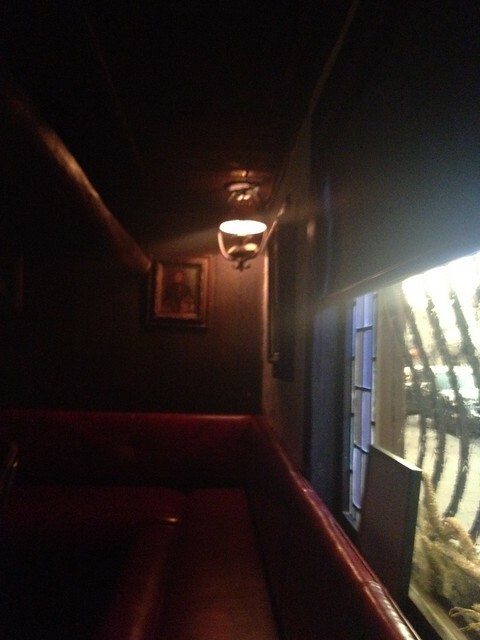 Last night we were sitting here and all we could hear was siren after siren. It was shortly after that that I saw an update on a local blog about a shooting. Searching Twitter for further information I was able to find out part of the victim’s name. Further searching got me reading of a past shooting he was allegedly involved in and I was able to trace that back to earlier crimes. This made me think this was all part of a long running feud and the payback theory was also being used today by some news sources. 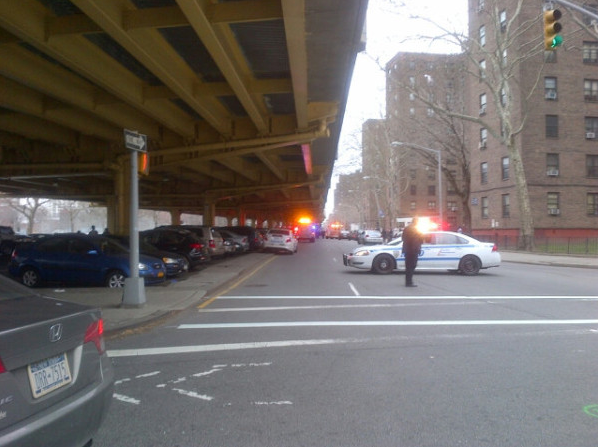 Then tonight at 6pm there was another shooting at the same lot of houses. This always seems to happen. The minute the weather gets warmer, the guns come out. The area where these shootings happened have a history of being somewhat notorious but I hope our local police make them a real focus and have a real presence there. I really feel for the residents of those blocks – it is not fair to them to end up being prisoners in their own homes. 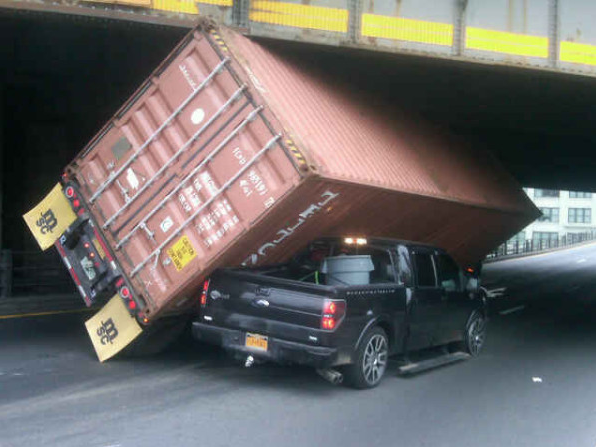 To make matters worse, not far from there, right where Bill and I walk off the Brooklyn Bridge, a huge truck got stuck coming off the BQE. Stop the drama, I want to get off! Sometimes I do not feel I appreciate the internet for all that it is and for how it has changed all of our lives in so many ways. Tonight was NOT one of those times. I have been excited about the Australian series Killing Time since I found out about it being filmed. When it screened last year, I got great feedback on it from mum, dad and Ev and I resigned myself to having to sit out and wait for the DVD to be released. Thanks to my cousin, I didn’t have to wait at all. He got me a copy on DVD (I know, I know!) and it was sent over as part of my recent birthday present! Woohoo! It arrived today and I just watched the first hour… it is awesome and at the same time, a horrible cause of homesickness. I could really just close my eyes and be right in the middle of Richmond again. I cannot wait to watch the rest of the series. 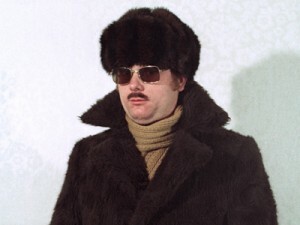 The plan is to try and control myself and not go on a Killing Time binge. I wish I did that with The Slap. I didn’t move all weekend when mum sent over that DVD! 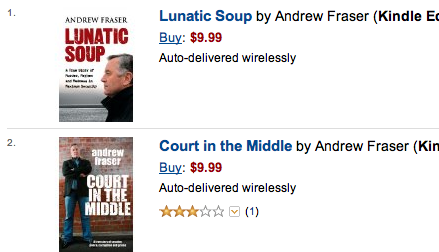 So I was on the phone to mum and dad tonight to thank them for sending it over and was going to see if they could pick up the two Andrew Fraser books and send them over to me in their next package. I jumped on to Readings and was faced with the shock of Australian paperback prices. You know you have lived in America long enough when you think there is an error when ANY book is above $15! I then searched on Amazon to see if there was any editions released here for sale. I would never have expected them to be available on Kindle.. but they were. Check out the prices! 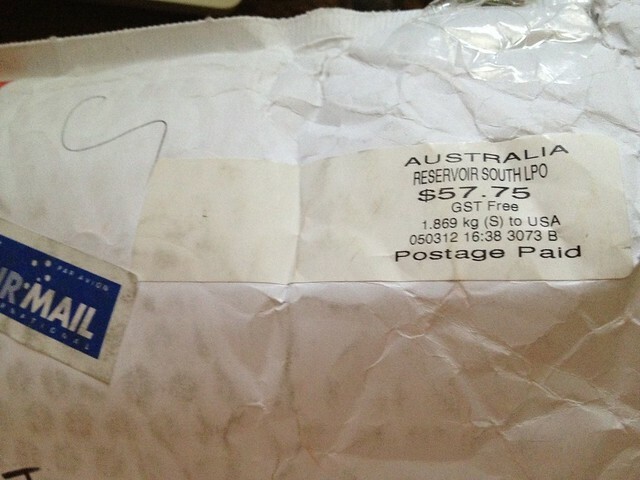 No shipping costs, no waiting for weeks, no worrying about lost parcels..
Got out of bed at 8.30. Watched the end of Marley & Me. Bawled my eyes out. Always that movie. Ugh! Bill took the laundry downstairs. Left for Queen of All Saints. Went to the local nursing home to give communion to the residents. As it was my first time visiting the sick and elderly, a fellow parishioner took me along to show go through the process. It was an incredibly humble and moving experience. From seeing the joy on their faces when we entered the room, hearing them respond “Thanks be to God” and then, to see the peace take them over when they receive the Body of Christ. It was beautiful. People our age talk about life in New York being so difficult. Imagine dealing with life here when you are elderly or infirm? Holding their hands and wishing them a “Happy Saint Patrick’s Day!” made this Saint Patrick’s day one to remember. Dropped back into the Rectory. Then, mani/pedi time! I will be doing a post on this next. Home for lunch and watching the Saint Patrick’s Day parade on TV. Bill baked. Oh did he ever! I started making our Lebanese Feast for lunch tomorrow. The rest of the night will be relaxing, putting away the washing, watching Two Fat Ladies, annoying Bill and just mucking around. I love a productive Saturday!